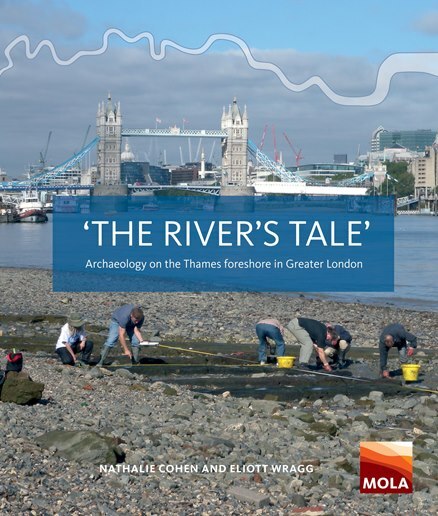 We’re very excited to announce the publication of the first TDP book – ‘The River’s Tale’: Archaeology on the Thames Foreshore in Greater London. Only one book has been hitherto dedicated to the archaeology of the Thames foreshore, ‘Treasure in the Thames’ by Ivor Noel-Hume published in 1956. (You can read this book online here). 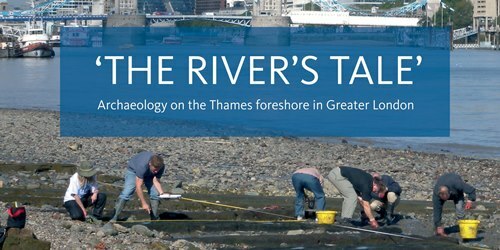 ‘The River’s Tale’ describes the work of the TDP and our predecessor the Thames Archaeological Survey, celebrates the important role of the volunteer Foreshore Recording and Observation Group (FROG), and highlights our discoveries from prehistory to the present day. From fish traps to ferry points, from barges to bridges, this new publication fills a hole in our knowledge of London’s river. This book has been funded by Thames Clippers, the Port of London Authority and Tower Bridge, and we would like to thank all of those organisations for their support. The book will be on sale at our events and you can also order it online from MOLA HERE.